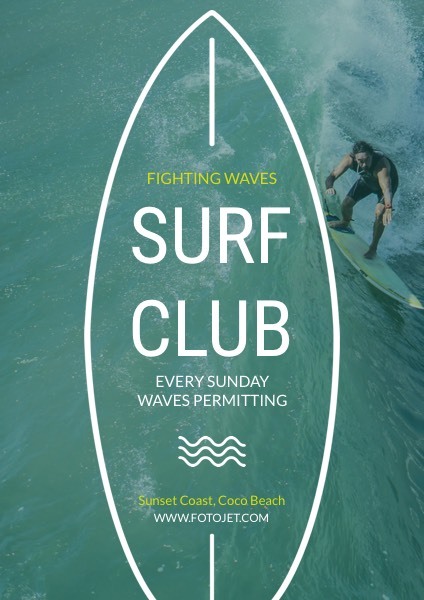 Wanna more people know the surf and your surf club? Making some surf club flyers with this promotional flyer template! It features a photo of a surfer who is fighting against waves. Compared with the background color, the theme text in white color is very showy. Replace the default text to disclose the full details of the activity. You can also make more personal adjustments with the image and text editing tools to the club flyer template.